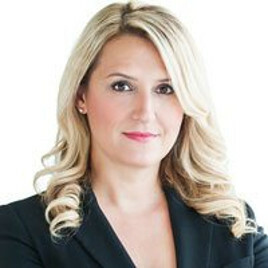 Stacy Koumarelas is an experienced Hamilton personal injury lawyer and partner at Neinstein Personal Injury Lawyers LLP. Though she has experience in various areas of personal injury law, including professional negligence and medical malpractice, Stacy devotes the majority of her time to personal injury and wrongful death claims associated with car accidents, long term disability, and occupiers’ liability. Ms. Koumarelas has a reputation as a considerate, attentive, and results-oriented personal injury lawyer who is committed to securing the best possible compensation for her injured clients and their families. The firm’s head office is located in downtown Toronto but we represent accident and injury victims in Hamilton and the surrounding areas. We have a consultation office right in Hamilton to serve you better. If you can not come to us, we will arrange to meet with you in your home or hospital. A serious injury can have a lasting impact on your life and the lives of your loved ones. Ms. Koumarelas and the rest of the personal injury lawyers at Neinstein take pride in offering compassionate, understanding service to their clients. Stacy will fight to ensure you receive the maximum compensation to which you are entitled, and grant you the peace of mind to focus on your recovery and returning – As close as possible – to your pre-injured state. If you or a member of your family has suffered a serious injury, contact Stacy Koumarelas today to arrange a free, no-obligation consultation. Personal injury lawsuits are often complex processes that may take an exhausting mental and physical toll. Stacy will guide you along your path to recovery, and will not collect legal fees until compensation for your injuries has been arranged. Need a Hamilton Personal injury lawyer? If you or a person you care about has suffered a serious injury in the Hamilton area, contact Stacy Koumarelas to discuss the circumstances of the accident / injury. There is no cost or obligation for this consultation. Phone: 416-920-4242 X2239 or Email: stacy@neinstein.com. Stacy is fluent in Greek.